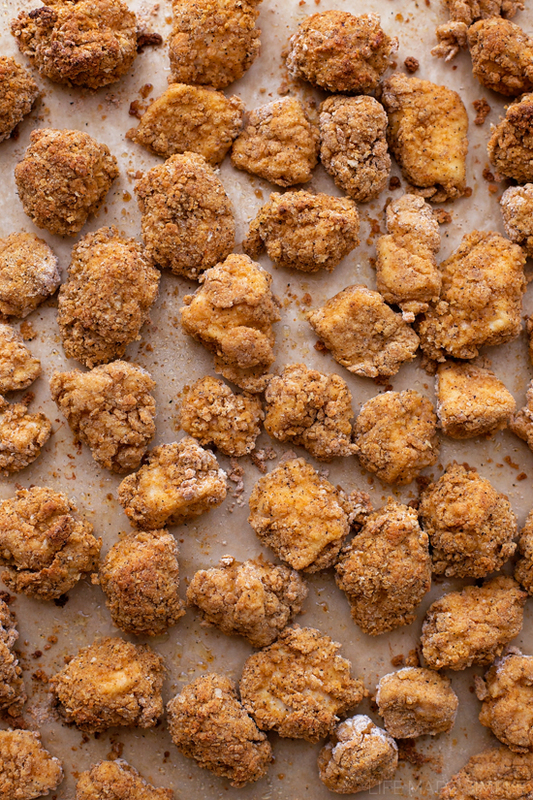 Think it’s impossible to make crispy, flavorful, golden brown chicken nuggets at home? Think again! 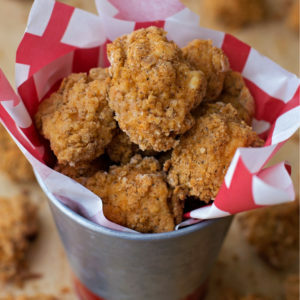 My oven baked popcorn chicken is easy, delicious and a lot healthier than fast food or the frozen stuff! 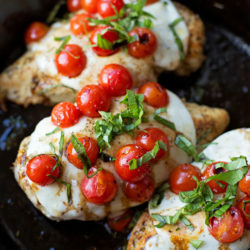 Lately I’ve been trying to come up with recipes that our toddler will love… and since he’s kind of obsessed with Chick-fil-A, I knew this one would be a hit. I am not by any means claiming this to be a copycat recipe. Because you know what? 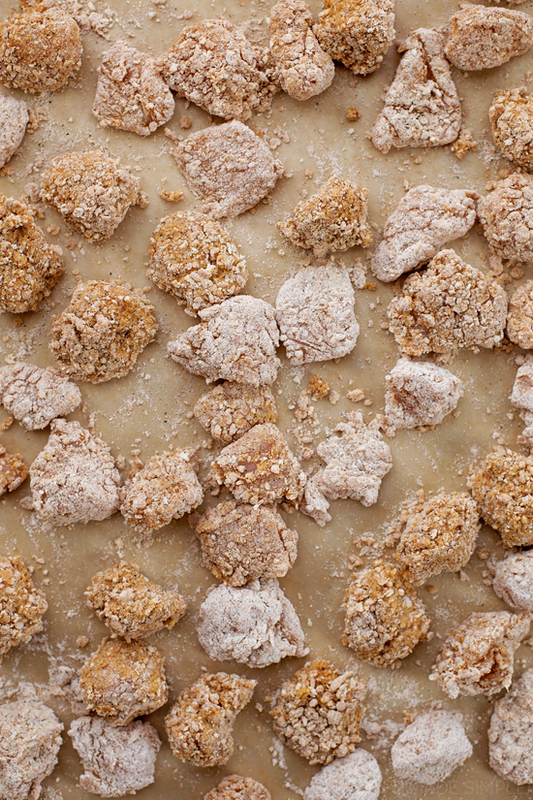 I’ve tried several copycat recipes… and none of them do the original nuggets justice. So instead of wasting time/ingredients, I decided to just make one that’s crisp, crunchy and packed full of flavor. Oh, and baked not fried!! I used my oven fried chicken strips as a guide and slightly adjusted the ingredients and method as I went. I started by cutting up a little over a pound of chicken breasts into small chunks, then placed them into a bowl filled with an egg/hot sauce/worcestershire sauce/buttermilk mixture (if you’re making these for kids who hate anything remotely spicy, you can definitely use BBQ sauce in place of the hot sauce). Next came the fun part. Tossing all of those pieces into a ziploc bag full of flour, panko, cornstarch, baking soda & spices. To make them extra crisp and flaky I whisked in a bit of buttermilk which made a bunch of crumbs. Once I shook them up & they were fully coated, I transferred them to a parchment lined baking sheet, sprayed them with a bit of grape seed oil* (you can use a blend of olive and vegetable too, but grape seed has a higher smoke point) cooked them for about 15 minutes at 425 degrees. 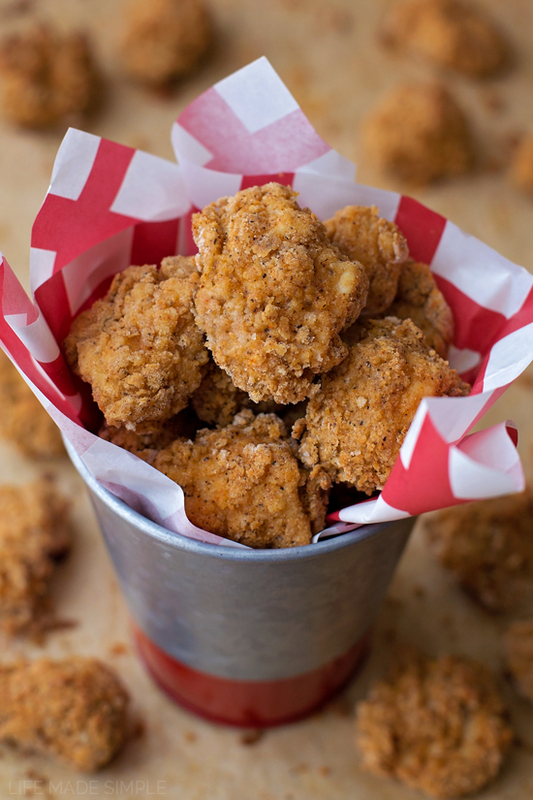 You're going to love this crispy, flavorful oven baked popcorn chicken!! It's easy to make and ready to go in under 30 minutes! Preheat oven to 425 degrees, line a baking sheet with parchment paper, set aside. 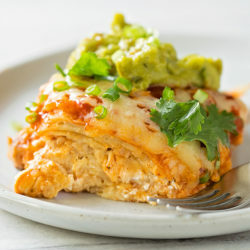 In a rectangular dish with sides, whisk together the eggs, hot sauce, worcestershire and buttermilk. Place the cut chicken in the dish and toss to coat. In a large ziploc bag, combine the flour, panko, cornstarch, baking soda, seasoned salt, black pepper, paprika, cayenne pepper, garlic powder and onion powder. Add the 2 tablespoons of buttermilk and shake well to create crumbs. Dip each chicken strip into flour mixture, then into the egg wash (making sure to coat both sides) then place back into the bag, close and shake until coated again. Place on the prepared baking sheet, allow to sit for 5 minutes, then spray generously with oil. Place in the oven and bake for 15-20 minutes or until browned and the chicken reaches an internal temperature of 165 degrees. Remove and serve immediately! *I used a oil mister filled with grape seed oil (it has a higher smoke point), but you can also find olive oil blends and grape seed oil in mister cans at the store. -If you notice you have dry spots while it's baking, you can always remove the pan and spray a bit more oil over top. WHOLE WHEAT FLOUR: Recently we've started using ¾ c. whole wheat flour and ¾ c. all-purpose flour and whole wheat panko bread crumbs- they taste great! GLUTEN-FREE: To make this recipe gluten-free, use 2 c. cup for cup gluten-free flour in place of the all-purpose flour and panko breadcrumbs. 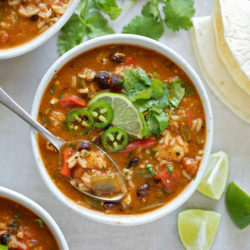 I *just* finished dinner, but seeing these photos is making my mouth water! The breading looks impossibly crunchy – a far cry from my last attempt at a similar recipe. Can’t wait to try this! you have buttermilk listed twice in recipe. Also is that liquid or powder? Just making sure I’m reading correctly….it’s chicken in the egg wash, then flour mixture, then back into the egg wash, then back into the flour? Pics look great, and I think my boys will love this, but a little confused. Reading the paragraphs with the pics doesn’t mention a re-dipping. Flour first, then egg wash, then back into the flour. Does that make sense? Hopefully they turn out great! The instructions say place the chicken in the egg mixture and toss to coat (see #2), then in the flour mix, then back in the egg mix, then back in the flour? Confusing…. Thanks for the recipe! Made these tonight. They are a bit of work- the whole flour then egg then flour again. But my girls both ate them- a food miracle! I did soak them in the buttermilk mixture a bit while I prepped all the other ingredients so they could tenderize. The amount of salt scared me- I was certain it was a misprint- so I only tried 1 teaspoon of salt. Will increase that next time. Thanks! Can i use coconut cooking spray??? ?